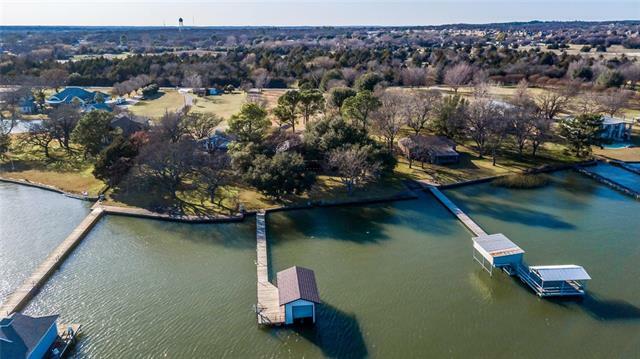 All Azle homes currently listed for sale in Azle as of 04/23/2019 are shown below. You can change the search criteria at any time by pressing the 'Change Search' button below. 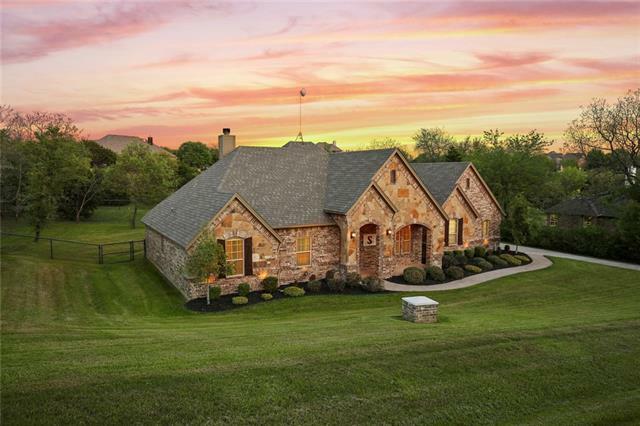 If you have any questions or you would like more information about any Azle homes for sale or other Azle real estate, please contact us and one of our knowledgeable Azle REALTORS® would be pleased to assist you. 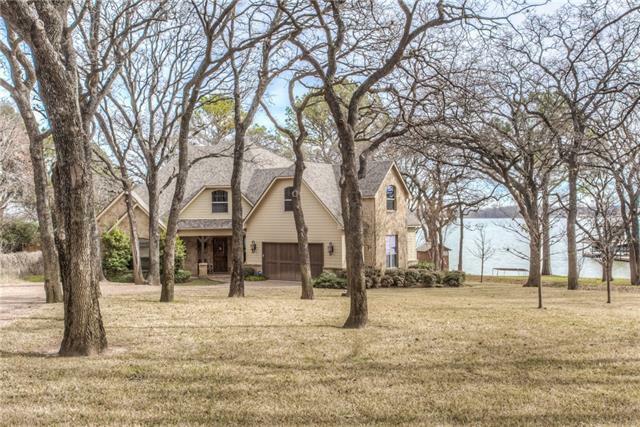 "Luxury lakefront living with a laid back Texas vibe. 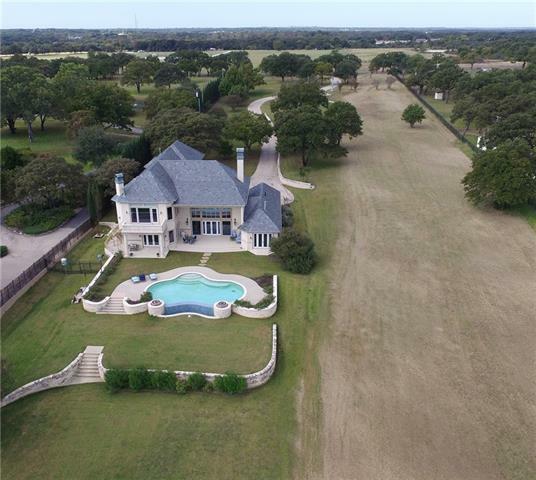 Enjoy family time and unwind at this spectacular property located just 1 hour from Dallas or 30 minutes from Fort Worth. Lake living at its finest, available fully furnished as a vacation getaway or permanent residence with stunning waterfront views. Property includes main house, guest house, 10 car garage with apartment above & 2 boat docks. 1.92 acres at 13180 Miller Rd & 1.85 acres at 13170 Miller Rd for a total of 3.77 Acres combined. 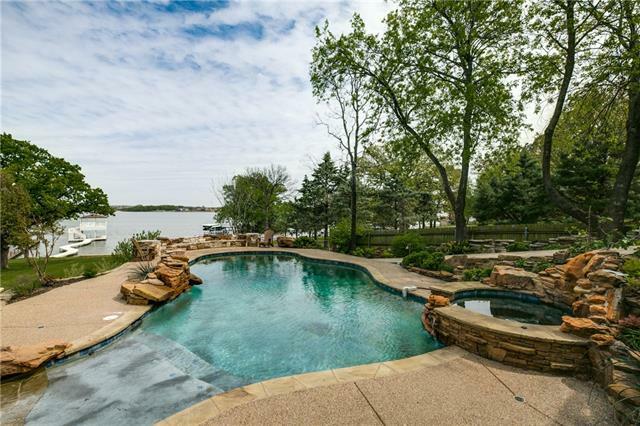 This"
"Palatial waterfront home at Eagle Mountain Lake sitting on 2.77 acres with stunning view of water. 4 BR, 6 fireplaces, 4.1 baths, custom French limestone countertops in kitchen with thermador built-in applicances. Flooring chisled limestone, marble, tile and carpet. Automated Infinity pool and fireplaces. Workout room, elevator, oversized rear entry 3 car garage. House is Syrian limestone w 150 year slate roof. Landscaped, water well, no HOA. Swim and boat at your own all weather lighted boat d"
"THIS IS A FIND, 122 ACRES MORE OR LESS OF PRIME REAL ESTATE...Large home in need of repair but it could be redone. This home also has a large basement room with bar and WBFP. There is a covered arena 180 X 90 17 stalls inside arena plus additional 10 stalls in a shed row...LOTS of Beautiful property, live creek, pond and scattered trees... !!! !PRICE REDUCED!!!!" 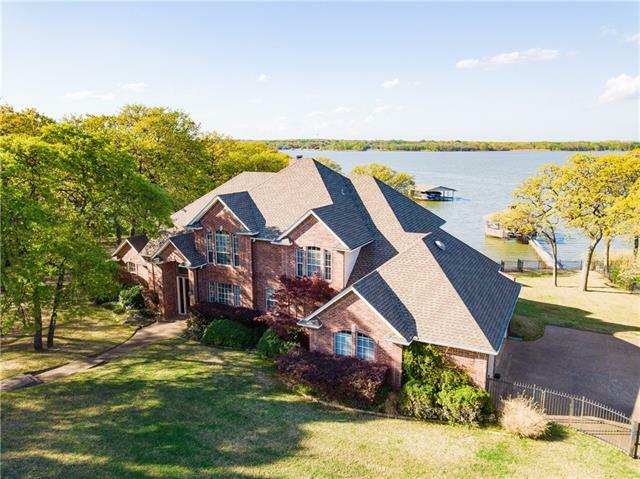 "One of the best lakefront homes on Eagle Mountain Lake.What's not to love...private, gated, custom home, gourmet kitchen, lots of space, your own boat ramp, your own boat house with upper and lower decks and dock - and your own pool and cabana.This is a piece of heaven you will love to own or rent.Friends and family will all want to be there. Call for your private appointment." "2 HOMES. Backyard Country Paradise!! 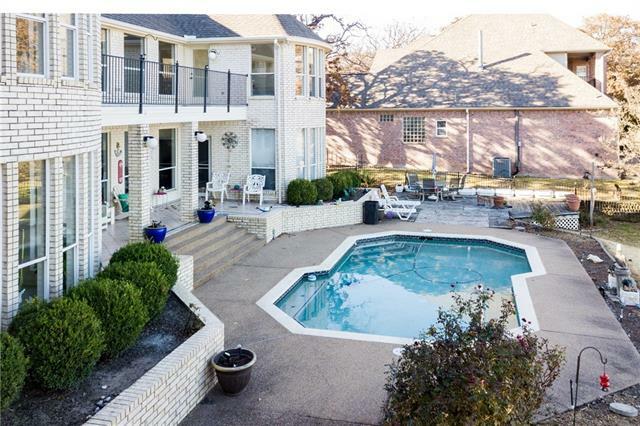 Pool with heated spa, huge tri level rear patio, wildlife from birds to bullfrogs to bucks. This is not a cookie cutter home on a subdivision lot. It's a large modern, comfortable, cozy, country home on 15 plus acres with no HOA. FM frontage that is still close to town, but in the country. 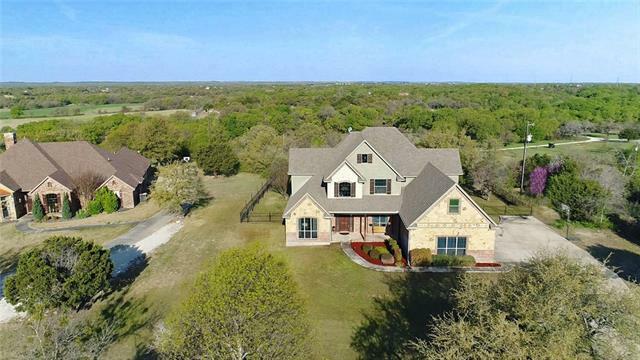 Lots of cabinets with granite counters, wine bar, 2 full living areas, Huge Austin stone fireplace, 4 bedrooms, 3 baths, double shower and jetted tub in the master bath. Bo"
"Built in 2009 (wear & tear is almost nonexistent), the original owners designed this private gated home to drink in the lake views from many angles. 5 bedrooms, 3.5 baths, almost 3700 sq.ft. 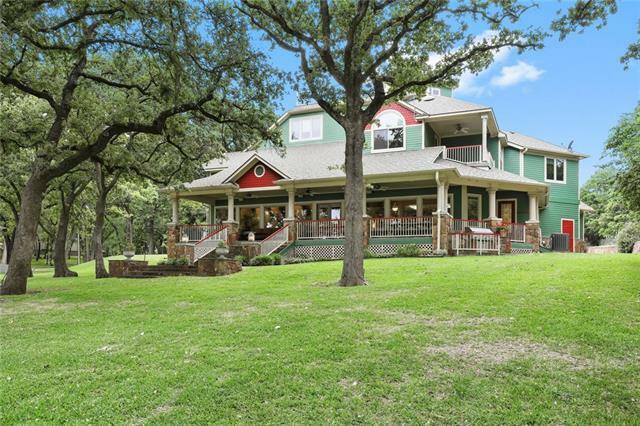 & close to one acre (not one sticker) make this a Trophy Waterfront Home. A unique 'misting' system makes spiders, etc. rare on the dock & around the home. Tasteful granite covers throughout complimented with Knotty Alder cabinetry are just a couple of the amenities that create a Cool Elegance without the co"
"BACK ON MARKET!!! GO OFF GRID with a few modifications. 5610 SqFt FINISHED 1500sqft PART FINISHED can be GUEST SUITE AND SECOND MASTER with both in home and garage access with an installed elevator or stairway. $600K BELOW Building Cost, you CANT build at this price. Detailed construction. Spray Foam insulation provides Average Electricity bills of $133 per month, no noise, no bugs, no dust! Utility room plumbed for 2 sets of washers & dryers. UNINCORPORATED Lower Taxes. 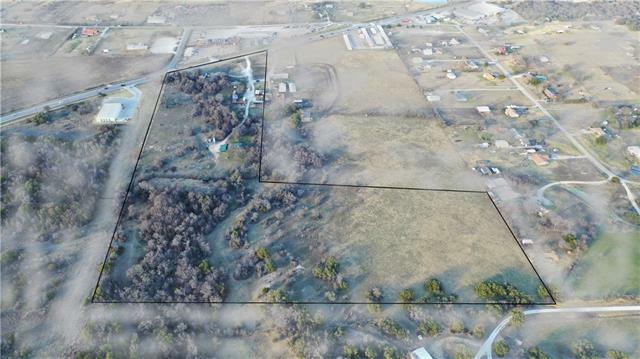 Butane and Well, 5 HVAC "
"PRESTIGIOUS 25 ACRES WITH SO MANY POSSIBILITIES! This property includes 25.20 acres, 2 houses, 2 wells, several barns and so much more! 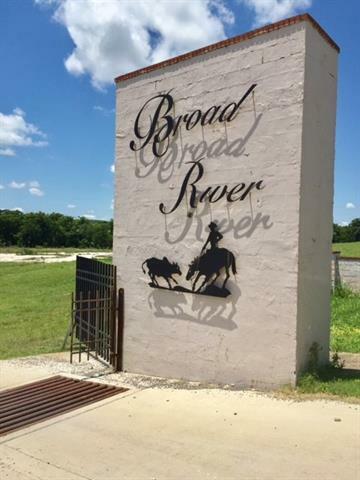 Bring your livestock, develop the land, or even use the 536 feet of 730 frontage as a commercial development on a booming road just outside the city limits. Includes income producing property as the yellow house is currently rented for $700 per month. Low taxes with AG exemption. Lots of trees and great views out the back of the home. 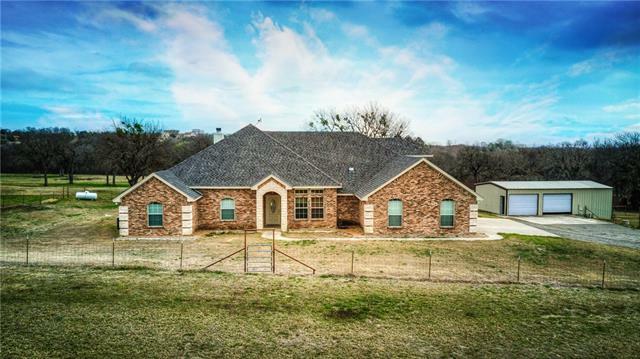 Custom built home with stai"
"Approximately 39.97 acres just minutes from downtown Fort Worth and the Will Rogers complex. 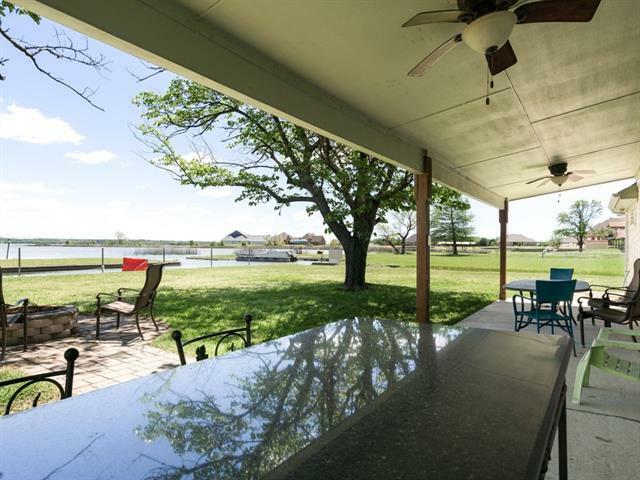 Incredible hilltop views of Eagle Mountain Lake and the surrounding countryside. Beautiful custom built brick home with 3 bedrooms, 2 full baths and 1 half bath. Rustic wood burning stone fireplace is the feature wall for the living room with tons of natural light from the large windows. Nice open space feel from kitchen, breakfast, living and dining room all on first floor.4 stall fully enclosed barn wi"
"Stunning lakefront home on an enormous double lot on open water located in the beautiful Oak Harbor Estates! This spacious home features 5 bedrooms, 4.5 bathrooms, 3 living spaces, and a bonus flex space. The gorgeous newly renovated kitchen opens up to a living space featuring a floor to ceiling limestone rock wall with windows highlighting the picturesque lake views. Spend hours outside lounging by the pool or fishing off the homes private boat dock with plenty of room for your water toys. Thi"
"Stunning waterfront property, recently remodeled and updated with designer touches throughout. Spacious Master Suite with a dream bath, custom built walk in closet and access to deck overlooking the water. Lake views from virtually every room! Split bedrooms. Second fireplace in dining room for cozy dinners. This small HOA of only 9 homes offers a private pool and boat launch. Perfect for your primary home or a great lake getaway. 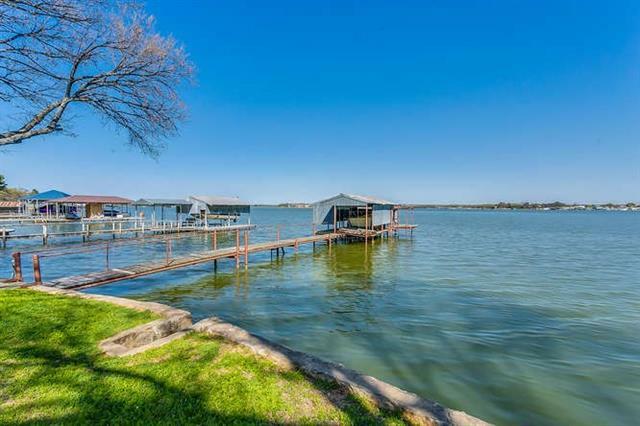 Move in Ready, bring your boat and enjoy the lake life!" "Waterfront with dock and pool too! Beautiful views! Spacious and open design! Living room and formal dining area. Granite kitchen and plentiful cabinets and counter space! Enormous eating area and living area off kitchen. Utility space and bath with exterior door for water activities, first level. Private master suite-lakeside and luxury bath. Upstairs, extra bedrooms and baths. Gameroom space and bar area. New roof and carpets November 2018. Tile gallery throughout." 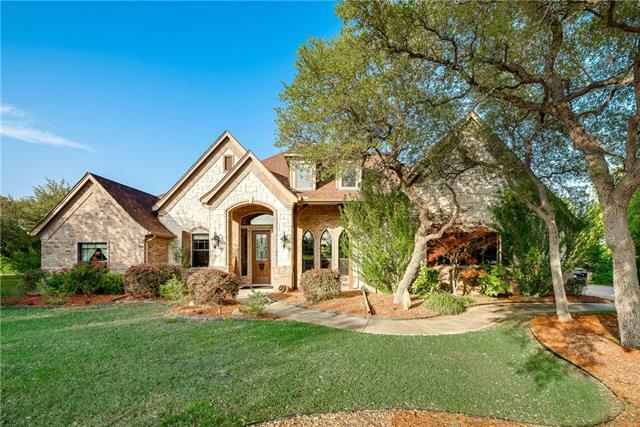 "Beautiful, open concept home on 1.2 acres in prestigious Boling Ranch Estates. The versatile floorplan includes a master ensuite and second bedroom downstairs that is currently used as an office. One of the three bedrooms upstairs could be a second master and has been updated. Wood, tile and Pergo flooring in living and dining areas downstairs. Spacious kitchen has ample cabinet space, Zodiak quartz counters, stainless appliances, butler's pantry and lots of natural light. Fabulous pool, spa"
"Exquisite Lakefront home built in 1970, with unique vintage charm, sits on 1.4 beautiful, manicured, treed acres on the main body of the best lake around, Eagle Mountain Lake! A few exterior amenities include: NEW tile roof, replaced within last year, concrete retaining wall, boat house with lift, Juliet balcony off front of home overlooking the front courtyard, winding concrete drive and wildlife, 2 car garage, separate covered boat RV parking and a huge deck off of the back overlooking the lak"
"Prime lake front property on Eagle Mountain. Deep water and the most pristine, open water views on the lake. Grandfathered enclosed boat dock. Charming 1940's home - one of the first on the lake. 2 story fireside family rm w. exposed beams & wood floors. A wall of windows overlooks the huge covered back porch and lake. Updated kitchen w. newer cabinets, appliances & granite - w. access to back porch. 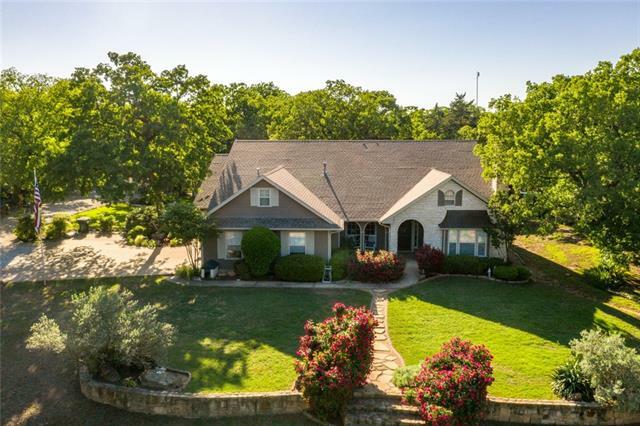 Guest suite & full bath on main while upstairs, master with ensuite bath is split from 2 additi"
"Immaculate home with 7 acres, AG exempt just across the street from Eagle Mountain Lake. 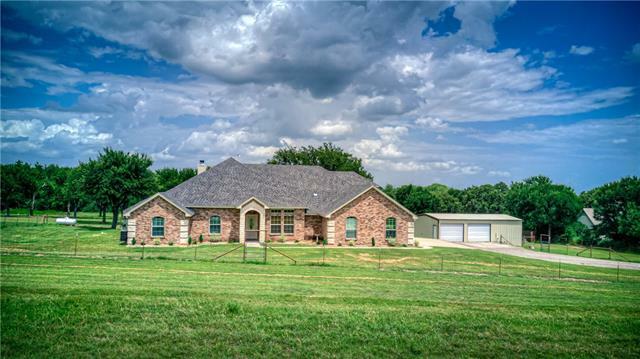 This is a great horse or cattle property currently used for raising long horns! 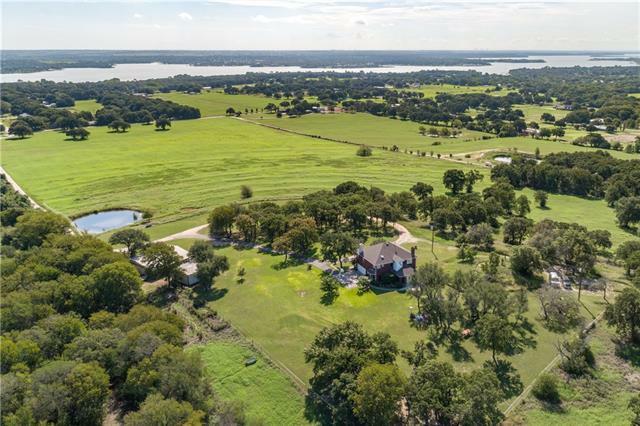 Home is secluded with a gated entry, beautiful landscape all around the property with peaceful trees, open pasture and pipe fencing! Property includes two large workshops, a tiny home with electric and water, a hay barn and other storage areas. The property also includes a large greenhouse, hot tub and two wells. 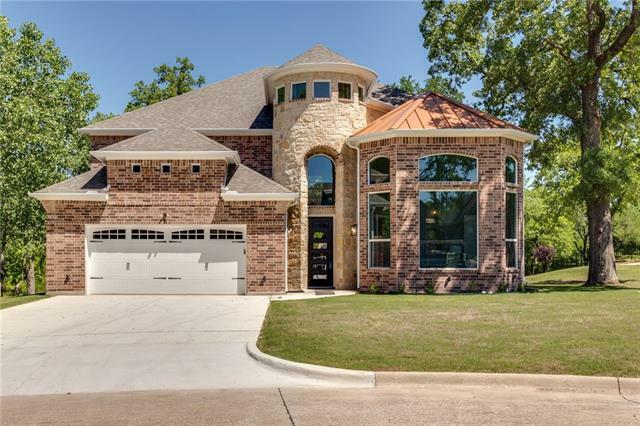 Enjoy incredible"
"Sandlin Custom Home! Nice sized rooms and a lot of them!! Fabulous 5 bedrooms, 4 full baths with an elegant entry. Open flow design encompasses formal areas, study master and guest suite downstairs. Circular stairwell leading to the game room with a balcony, plus a media room and 3 bedrooms. 60x30 two story barn has room for several vehicles and workshop downstairs and up presents rustic wood floor perfect for dances, entertaining and family get together." "Lakefront home on Eagle Mountain Lake! Large lot! No City Taxes! Open and light design! Move in condition! Formal living and dining area. Large entertaining living area with wet bar open to the kitchen. Private master suite, luxury bath. Upstairs landing features a built in desk and shelving. Two large bedrooms up with adjoining bath. Extra space in bunk room to entertain and sleep many at the same time. Backyard has outdoor fire pit, large backyard and boat dock includes lift. Boat Dock"
"Backyard Country Paradise!! Pool with heated spa, huge tri level rear patio, wildlife from birds to bullfrogs to bucks. This is not a cookie cutter home on a subdivision lot. 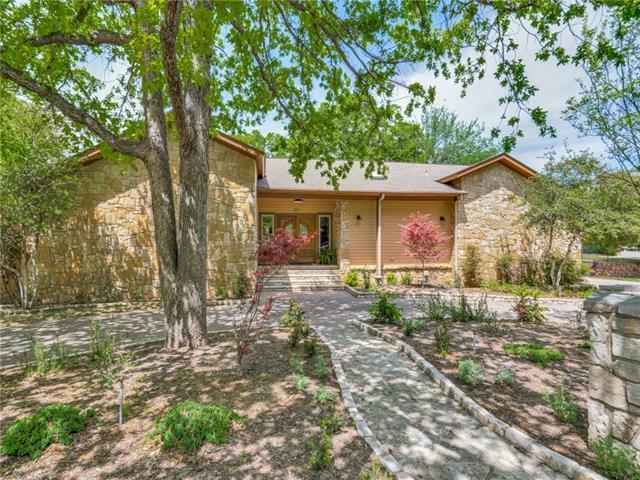 It's a large modern, comfortable, cozy, country home on 5 unrestricted acres with no HOA. FM frontage that is still close to town, but in the country. 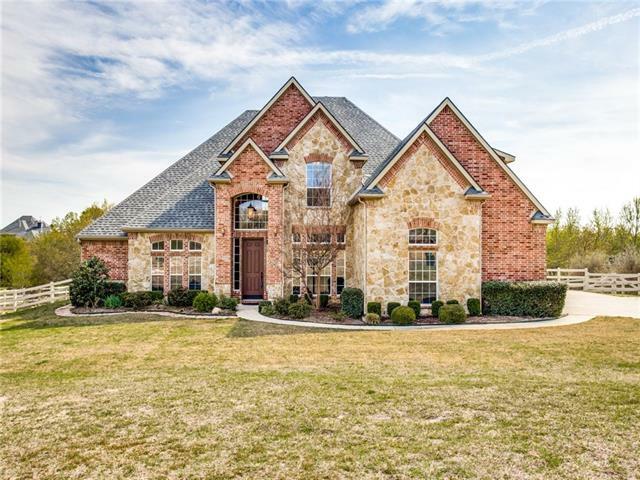 Lots of cabinets with granite counters, wine bar, 2 full living areas, Huge Austin stone fireplace, 4 bedrooms, 3 baths, double shower and jetted tub in the master bath. Bonu"
"This gorgeous home is situated on a beautiful wooded 3.64 acres that offers a private oasis in the backyard. 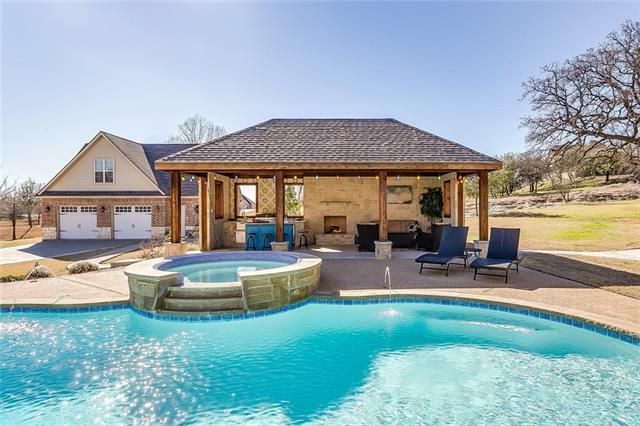 The large pool with waterfall, hot tub, 2 fire pits, outdoor fireplace, & outdoor kitchen are great for entertaining! With 4 bedrooms, 2.5 baths, study, formal dining, living room, breakfast area, media room & gameroom the home is large enough for everyone to have their own space, yet it's still cozy & inviting! The media room includes surround sound system & a 75 in TV in a built-in medi"
"$5000 BUYER CREDIT if under contract by 4-15-2019!! Inspired, custom built modern home in gated Escondido Estates. Impressive 24 ft ceilings greet you with wooden spiral staircase that leads to 3 split bedrooms, 2 bathrooms, media room, and 2nd living with mini bar. Office could be used as 5th bedroom. Dolby surround sound in master, family, media,and game room. Upstairs balcony entrance boasts a view of the private deck, greenbelt, wildlife, deck, and creek. 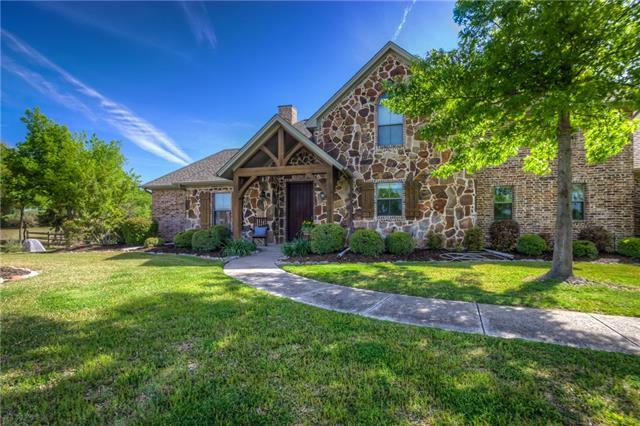 You will enjoy lower energy bills wi"
"This country home in the gated community of Boling Ranch Estates is waiting for you! 2 downstairs bedrooms with full baths, huge laundry room, & lots of space to spread out! The gorgeous white kitchen offers granite, trendy contrasting color island with butcher block, hammered copper pendants, & stainless steel appliances. Beautiful oak hardwood floors downstairs. Owners suite offers his and her walk in closets, separate sinks, garden tub with picturesque views, & tiled shower. 2nd floor offers "
"Immediately, you will be drawn into this home! From the curb appeal, to the layout, all the way to the 1400sqft. shop. This Meticulously maintained home features a split floor plan, Hand-scraped hard woods throughout, vaulted ceilings, a gourmet kitchen, and a Master retreat! The Master bath is complete with a Walk around, double head shower, jetted tub and vast walk in closet. The custom kitchen includes a Arched Brick over range, built in wine rack and double oven, any chef's dream! Not only d"
"Peaceful country living with beautiful views! Great 4-3-3 with formal dining room, study and 2 living areas. Kitchen features granite countertops, center island, stainless steel appliances and lots of cabinet space. Large master bedroom with sitting area is located down stairs. Second living upstairs would make a great media room or game room. All carpet was replaced in 2017. Water softener and water filter system included. Situated on a landscaped acre lot with full sprinkler system. Located in"